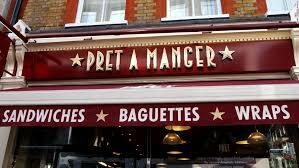 Pret A Manger – What does food labelling teach us about legal compliance? In July a 15 year old British girl collapsed and died on a British Airways flight from London to Nice after eating a baguette she bought from Pret A Manger. Natasha Ednan-Laperouse, aged 15, who had numerous allergies, collapsed on a British Airways flight from London to Nice on 17 July 2016 after eating an artichoke, olive and tapenade baguette she bought at Heathrow airport’s Terminal 5 from Pret A Manger (‘Pret’). The baguette that she bought contained sesame seeds which Natasha was allergic too. The baguette did not list sesame seed as an ingredient. EU regulations require food companies have to warn customers about allergy risks. Pret has stated that it carried out an investigation that found ‘appropriate signage and labelling [was ] in place, but after a review the decision was taken to ‘enhance the signage’. This approach, namely where companies aim to meet the minimum legal compliance obligations is not unusual. Minimum compliance with legislation is often seen as a benchmark for organisations but going beyond legal compliance (enhanced signage) is an approach that is not always embraced until there is a crisis. In this case, the death of a young girl. Arguably the incident has led to a negative reputational impact for Pret and for that matter British Airways. It is not known if the family will proceed with any civil action against either company but so far, the Inquest into her death will be costing thousands in legal fees for Pret, including valuable director’s time, not to mention the impact on their operational management systems. The same rings true for British Airways. In my blog ‘Get out or jail free – when is legal compliance is enough.. or is it? I explored the reasons why companies seek to go beyond legal compliance. Although this blog was focused on companies approaches to publishing a statement under the UK Modern Slavery Act, most of those drivers – I.e. reputational management, doing the right thing and building a resilient business all apply in this case too. This guide is available for download here. The complexity of legal requirements concerning human rights protection and environmental safeguards is not set to diminish. Organisations should use this tragic lesson to take a fresh look at how they manage their legal obligations. And if need be get in touch with an expert. Home • News & Insights • Sustainable Business • Pret A Manger – What does food labelling teach us about legal compliance?